In the last few years, we’ve had a great number of Canadian customers buy our trailers. Some even fly down to local airports and purchase used trucks from American dealerships, then come to us here at PROLine for their new trailer. They then drive their new truck and trailers back across the border. These savvy customers end up saving thousands of dollars just from purchasing their trailer factory-direct from PROLine the manufacturer. Couple that with the fact that New Hampshire sales are all tax-free and this savings is substantial. Granted you will pay a tax as you cross back into Canada but it will be pennies on the dollar to what you have already saved. Best of all the entire process is incredibly EASY! All PROLine trailers are built to both US and Canadian Motor Vehicle Safety Standards. 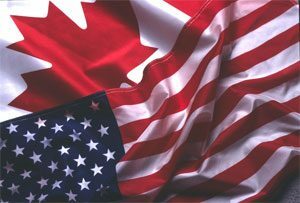 Additionally, our trailers don’t require the 72 hours notice to US customs and all trailers built within the last 15 years are admissible to Canada! If you’re a potential customer located in Canada feel free to give us a call at 1-800-994-0960 to discuss your options for a quality aluminum trailer. Check out the links below for additional information! Mention PROLine to get 10% off your room rate! Less than a mile from the Granite Steak & Grill. Huge menu, less than a mile from the Holiday Inn Express, and 15 minutes to PROLine you’ll be sure to please the whole family. Looking to get your fresh seafood fix while you’re visiting New England? Windjammers surely won’t disappoint. A great selection of inspired food and a better selection of craft beer. Quality craft beers, great pub food, and frequent brewery tours. Wood-Fired Neopolitan style pizzas with plenty of apps, salads, and sandwiches. Not to mention they have 20+ Craft Beers on tap!